The proxy server is a server (a computer system with an application program) that acts as a go-between for requests from clients seeking resources from other servers. Usually, an IP address assigned to one Proxy like a Dedicated Proxy and You can visit this post about Where to buy Private Proxies, which We have discussed too much in the past, Now there is another type of proxy service offer the Backconnect Proxies or Rotating Proxies, This post I would let you know the detail about that. 1 What are Backconnect Proxies? 2 How Backconnect Proxies Work? 3 Why You Need It? Proxies provide anonymity to the user. Backconnect proxies are similar to other proxies. They are the buffer between you and the web server. Backconnect Proxies provide besides, IP rotation that automatically provided in every account, So some of the proxy providers also named Backconnect proxies as Rotating Proxies. At first, the Backconnect proxies mainly design and permit you access to blocked search engines. Similarly, the chances of getting your IP address blocked are almost non-existent. Backconnect proxies make sure that your IP do not get blocked. You get automatic rotation of IP address for every request or every fixed Time! It also helps you in scraping data in an anonymous manner. Though backconnect proxies work almost like a standard proxy, as they have the same configuration and operate similar to them with the same advantage and disadvantage, there are specific differences. The proxy server or the network differentiates the backconnect proxies from the regular proxy. Compare with the Dedicated Proxy, Backconnect proxy rotate the IPs in the Pool with the gateway servers, which fixed as IP of server:Ports, for example, zproxy.luminati.io:22225 or 127.0.0.1:Port. There are various proxy server machines with different machines and multiple configurations in backconnect proxies. You can have a pool of various sizes such as 20, 200 or even 50,000 or even higher. The costs vary accordingly. Changes made to the IP and referrer data. The proxy connection also changes. With every usage, the Internet connection keeps changing. Backconnect proxies have millions of database available, and they are available in thousands every day. You can make any number of requests per minute. If you want to scrape data from any website on Google or Amazon, you need not fear any blocks, if you are using Backconnect proxies. Backconnect proxies provide secure proxies that offer more security than standard proxies. They usually utilised for bulk data scrapping. Due to its higher cost, ordinary users do not use them. Let me show When you send requests, you will have a network of server machines that make use of multiple configurations to look into your request. Whenever you use the internet to do a search, your IP address will keep changing automatically every time, making them more reliable and anonymous. You should first click on the “Connections” tab that is found in the Internet Options window. Click the “Lan Settings”. You will have to mark the box to enable the proxy settings found in the local area network. You first type in the matter that you require, in the search engine. A connection will send the request to the server. Another connection will bring the result of the request to you. Every time the IP address will keep changing for each request made. You can send as many requests as you need at the same time. Your own IP will remain anonymous. Backconnect proxies can be relied upon for providing anonymity to the user. Here is a video upload by Microleaves which is a Rotating Backconnect Proxy service, Though Different proxy service offer the Backconnect Proxies as different form, rotation of IP address for every request or every fixed Time, Microleaves offer the proxies which rotate IP address every 5 minutes. By using the Rotating Proxies, you can generate much more number of search requests at a time. Your IP will keep changing every time you use the web server. In fact, they provide anonymity that is more than what other regular proxies offer, as the search is made with a new IP every time, you surf the internet. The regular proxies use a single server machine while the Backconnect proxies use multi sever facility. Rotational proxies make use of a large network, which includes many server machines with varying configuration that will deal with your requirements. The risk is spread over a vast area that brings with it, an additional safety and anonymity to your own identity. The IP address keeps changing and each time you search through the internet, the IP address will change automatically, to make your identity anonymous. The number of search requests that you can make per minute is higher. You browsing habits will be protected from prying eyes. You will be able to use unbannable proxies. There are many online markets which are constantly on the lookout, to extract data from websites through web scrapping software. Identity can be avoided if you have many IP address, as they cannot be located or traced easily and the chances of getting blocked is almost negligible. Even the country location will be masked, as the IP addresses keep changing to different countries to provide better identity protection. You will not worry about rate limits. If the regular proxies used, your IP address will remain the same on the internet. It is easy to locate the IP, and you cannot stay anonymous and secure for long. If you are using a single IP, your chances of being identified and getting banned increases. Make sure that you have defined technical features attached while choosing the proxy. Those who make use of data scrapping in bulk require the use of backconnect proxies. And Now Sneaker websites like Nike and Supreme have blocked lots of data center IPs. So if you want to use the proxies for copping sneaker on Nike or Supreme, the Residential IPs are good choice for that. With the help of Residential Proxies, You Do not need to worry about the proxies is banned by the Sneaker websites or other Foot sites. But You must Note this. NOT all Backconnect Proxy service offer the Residential IPs!! Though 80% of rotating Proxy providers are offer the Residential IPs, also some of rotating proxy providers offer the date center IPs, which is important if you want to use the proxies for copping sneaker or other stuff. I know Both Storm Proxies and BlazingllcSEO offer the dedicated Backconnect Proxies package, Then the other Backconnect Proxy providers mainly offer Residential Rotating Proxies :). There are many packages provided. 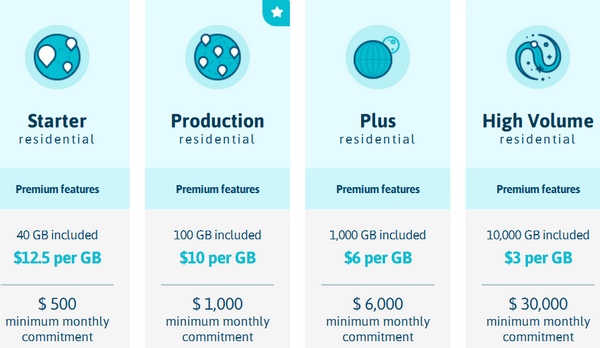 Each package depends on the speed and the budget of the user. You should choose a backconnect proxy that can switch your IP, every time you make a request on the server. Determine whether you are going to use the proxy for your personal use or for business use, when choosing the rotating proxy. Users with business needs, require many social media apps with high-performing ports. Those who require them for personal use will require social media, with just a few ports. Business packages need high performance and security of data, while personal use gives importance to anonymity of user. Refer to online reviews before choosing the package required. God reputation, and services provided should be checked into. There are many proxy servers such as Luminati, Stormproxies and Microleaves that provide their services at very economic costs. You can check the digital certificate of the website to refer to the authenticity of these proxies. This can also be done by pressing the green button that is located at the address bar on the web browser. To choose the best proxies, you will have to identify them by the number of IP addresses, number of server locations, number of accessible devices, number of servers, etc. The help and support should be good, such as phone support, live chat, user forums, and tech support. Some of the 3 best backconnect proxy providers have been identified, based on the quantity of IP pool measures taken and the support quality provided to keep your information untraceable and safe. Though there are many famous brands which act as suppliers to sell you high-quality Backconnect proxies, a selected few have been analyzed. You can collect information from the websites through Luminati. Luminati provides Residential proxy network. They are the largest network and are apt for all types of business. They are most reliable and are unblockable. Fortune 500 companies use Luminati to provide brand protection, for ad verification and price comparison. You can make use of the 7 day, free trial plan. Luminati provide Datacenters IP’s, Residential IP’s and Mobile IP’s. Their proxies support lots of function, you can use their proxies on almost all platform, And you can define max requests on ech IP and new session will automatically change the ip, which you can control it by defining the ip policy (under proxy settings) – in the max requests you can define the number of requests to perform from the same ip (as long as the ip is available) if you don’t define it, than automatically the ip will be refreshed every ~60 sec, also you can define this in your “session duration” settings (also under IP policy in Luminati Proxy Manager). But Price of luminati.io is really expensive, obviously which is not good for personal use! They provide easy integration and are highly scalable. They can be easily set up and make use of multiple configurations just with one web interface. They are most reliable and secure. They provide connection pools for quick response time. They are the largest proxy network. The residential IP’s do not get blocked or cloaked as they are real IP’s which are cannot be blocked or cloaked. The Luminati network use nodes on their P2P network by which they are routed. With lightning speed they can forward concurrent requests through the multiple IP’s that enables you to harvest data. The proxy network can be used in every country around the world. Luminati makes use of sales intelligence to give an understanding about the customers who will require your service. They provide brand protection as well as protecting your trade mark and your pricing strategy. Job seekers and employers can connect more effectively. Misleading advertisements as well as backlinks can be eliminated. All the online assets get protection, on both mobile devices and on the web. With the Package of Rotating revers proxies you can instant access to more than 70,000+ data center IP connections and Proxies Pool. There are four types of proxies available with every plan. They are the USA proxy, the EU proxy, combined EU and USA proxy and lastly Asia Proxy. They are available in 10 thread package, 40 thread package 80 thread package, 150 thread package, 200 thread package and 400 thread package. Storm proxies offer 40,000 Residential IPs Pool for the Residential rotating proxies, also they offer the special residential rotating sneaker proxies package and Ticketmaster proxies. For lots of website such as Supreme, Nike, Adidas, and Ticketmaster & Tickets Sites restrict to buy the stuff via data center IP address. With auto rotating IP switcher through Backconnect, there is no need for any manual replacements for the IP. Stormproxies provide unlimited bandwidth and depending on the member area, you can choose between from proxies across the world. The entire process is easy to use and works with a simple style. To make a proxy connection, you have to enter any one or several of the proxy gateway, into your software. Your IP’s will access this proxy gateway. You will get a new proxy IP. Depending on the member area chosen, you will get either one HTTP request or you will get one for every 3 minutes or for every 15 minutes. The proxy rotation takes place automatically without making any change in your software. With a higher package, you get higher speed in the software. You can choose from proxies across the US, Europe or a combination of both. Unlimited bandwidth is provided here so that users can benefit from using these proxies. The IP addresses are non-sequential and are an important feature of Stormproxies. They provide a 2 day free trial with money back guarantee(only for small package). Microleaves help to back your location, whenever you make contact over the internet. All websites can be accessed and any blocks by the search engine will be overcome. Microleaves Backconnect proxy helps in private surfing of the internet and further hides your IP address. You need not use the shared proxy as there are a number of people to access the proxy. It has to be shared and not used only by a single person. Though the shared proxy is inexpensive, you will not get the privacy that you require. It provides a secure way of surfing the internet. The internet speed is fast and speedy. Digital signals provide fast signals, but Microleaves provide fast internet speed too. High anonymity is another added feature at Microleaves. The user can easily be use the internet without having any fear about the instability of the internet or getting their connection disturbed or disconnected. By using the best proxy server, your IP address can remain anonymous even if you surf the internet. You can also protect yourself from unexpected access and attacks. 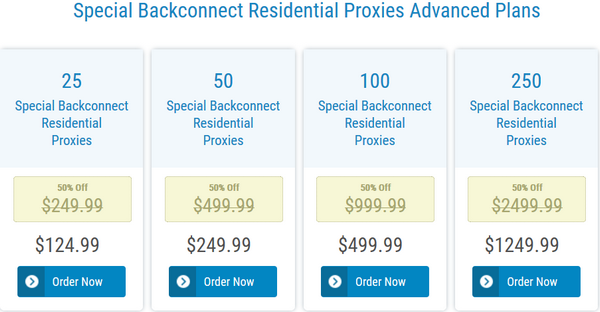 It can also be added that the rates charged for a backconnect proxy are much higher, as it is quite expensive to get access to it. The quality varies with backconnect proxies. Some connections are fast while some are slow. There are some that provide banned service too. Backconnect proxies are especially used by the users who require bulk data scrapping. Smartproxy is worth mentioning with 5mln+ real mobile and desktop proxy network.